I’m almost managing to get back on track with making these posts a weekly occurance! 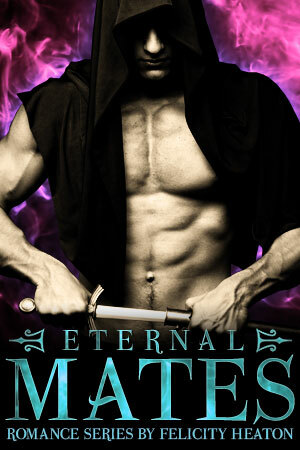 I now have the next THREE books in the Eternal Mates romance series completed in first draft. That’s Hunted by a Jaguar, Craved by an Alpha and Bitten by a Hellcat. I’m still debating the release order for Craved by an Alpha and Bitten by a Hellcat. I might switch them back to how they were originally, with Bitten by a Hellcat as book #5 and Craved by an Alpha as book #6, as there is some cross-over with Bitten by a Hellcat and Hunted by a Jaguar. I’ve now read through the first draft for Hunted by a Jaguar and for Craved by an Alpha on paper and I’m pretty happy with both of them. Hunted by a Jaguar is going to rock your world. It’s harder to achieve that in a novella, which Craved by an Alpha and Bitten by a Hellcat both are, but I’m going to work hard on both of those novellas to give them the same spark / heat that you expect from this series. While I edit Hunted by a Jaguar, which will be the next release in the series, I will be thinking about Taken by a Dragon, which is going to be #7 in the series and is novel length. I hope to get writing the first draft of that book soon. If you’re a Bleu fan, rejoice! He’s in Hunted by a Jaguar for quite a bit of page time, and he also makes an appearance in Bitten by a Hellcat. Before you ask, yes, he is getting his own book. No set number in the series for it yet. I have to think about how things are going to pan out after #7 and who needs their books written… which would be Bleu, Lord Van der Garde, Fenix, and a few other heroes you’re yet to meet. Kyal isn’t included in the list because he gets his own spin-off series. There’s a chance I will switch Craved by an Alpha and Bitten by a Hellcat around, and also a chance I might change the dates to move the books closer together. Now, how about a sneak preview snippet from Craved by an Alpha? Eloise barely had time to register those words before Cavanaugh was stripping off his charcoal fleece, tugging the dark t-shirt he wore beneath off with it too. He dropped them on top of his pack and she stared at him, unable to drag her eyes away as they slowly glided down over the hard slabs of his pectorals to the ropes of his stomach. An ache started low in her belly and only got worse as he tugged off his walking boots, pulled off his socks, and unbuttoned his dark grey trousers. He pushed them down, revealing long toned legs, and stepped out of them, his muscles shifting with the action, mesmerising her. He truly was a majestic male. For a moment, she feared he would crush her strength to resist him by stripping completely, but he turned away from her, his black trunks still in place. They hugged the twin globes of his backside as he walked and she stared at them, loving the way they dimpled and flexed with each stride he took towards the water. When he looked back at her, she dropped her gaze to her pack. She felt his eyes leave her and lifted hers back to him, drinking in the sight of him. He waded into the water and barked out a sharp noise that echoed around the valley. â€œFuck, thatâ€™s freezing.â€ He didnâ€™t turn around as she had expected. He shuddered and kept wading out into the river, his shoulders hunched up and fingers flexing at his sides. And hid it when he looked back at her. He grinned, his grey eyes bright with it, a light she hadnâ€™t seen in them for a long time. Too long. This was the gorgeous male she had grown up with, always an air of mischief surrounding him, a sense that he was going to live his life to the fullest and take every adventure in his stride. Seeing him like it again only made her feel worse about making him return to the pride with her. She had never thought he would smile again as he was now, full of energy and happiness. She had never thought she would see the Cavanaugh who had been her best friend, her closest companion, and so much more than that. He bravely dipped lower in the water and then began to swim in the deepest part of the river, entrancing her as he ducked his head under the cold water and surfaced again. He slicked his silver-white hair back and rivulets ran down his sculpted cheeks and rolled along the strong line of his jaw. He still made her heart beat hard and still drew her to him even though her memories of him were tainted by everything that had come afterwards.